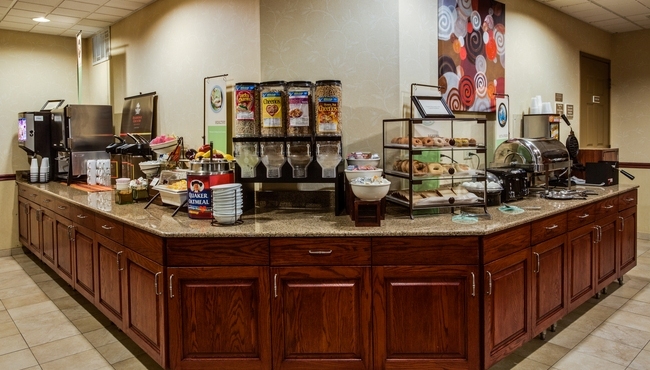 Whether you’re here for a conference or a championship game, the Country Inn & Suites hotel in Crystal Lake makes it easy to stay on schedule with our complimentary, hot breakfast. We offer savory choices like breakfast burritos, cheese omelets, and biscuits with gravy as well as sweet options like fresh fruit, pastries and Belgian waffles. When lunch or dinnertime arrives, take advantage of our proximity to nearby restaurants like Finn McCool’s and 1776.